Your customers and potential customers are using Google+. 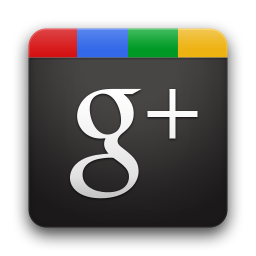 Google+ has over 100 million users and is predicted to grow to 400 million by the end of 2012. It’s a great way to improve your search engine ranking. Let’s face it. Google is the king of search and using their interfaces increases your company’s search ranking. Google+ makes virtual collaboration easy. Google+ supports fast and easy sharing of documents or images. That results in greater productivity at a fraction of the price of conventional in-person meetings or videoconferencing. Get your message to the right audience with a click. With Google+, you can put customers into different groups or “circles” (by geography, by age, by interest) and then easily communicate with each circle separately, or with multiple circles at the same time. Google+ allows free video chats. One of the best features on Google+ is Google Hangouts, Google’s video chat tool. Google Hangouts works well for video conferencing with members in your circles. Google+ provides free focus groups. Why pay for focus groups when you can use Google+ to get answers to questions, e.g., pertaining to how your brand is received in the marketplace. Google+ focus groups are a great way to elicit customer feedback. This platform facilitates B2B marketing. If you are looking to connect with other businesses, Google+ Your Business is designed to help. Your circles can include other businesses or industries that you wish to target. Google+ is a plus for PR. With Google+ circles, businesses can target the public and make desired media relations contacts. When your business delivers a message through Google+, it is going to be picked up by users who are more likely to respond, including key industry personalities and publishers. This platform promotes brand awareness. Because of the emergence of social media, it is essential for brands to build their reputation and brand message online. Google+ is another avenue for you to advertise promotions on. With Google+, it’s easy to offer promotions to your target audience within your circles. Playbook Public Relations’ team members are experts in digital marketing. Call us to today for a consultation and we will develop a powerful tool for your business―a Playbook! Big or small, we've got a solution when you need it. Our market knowledge and support team will provide your company the best multi-faceted publicity or marketing campaign. Let us create a "playbook" for your business.